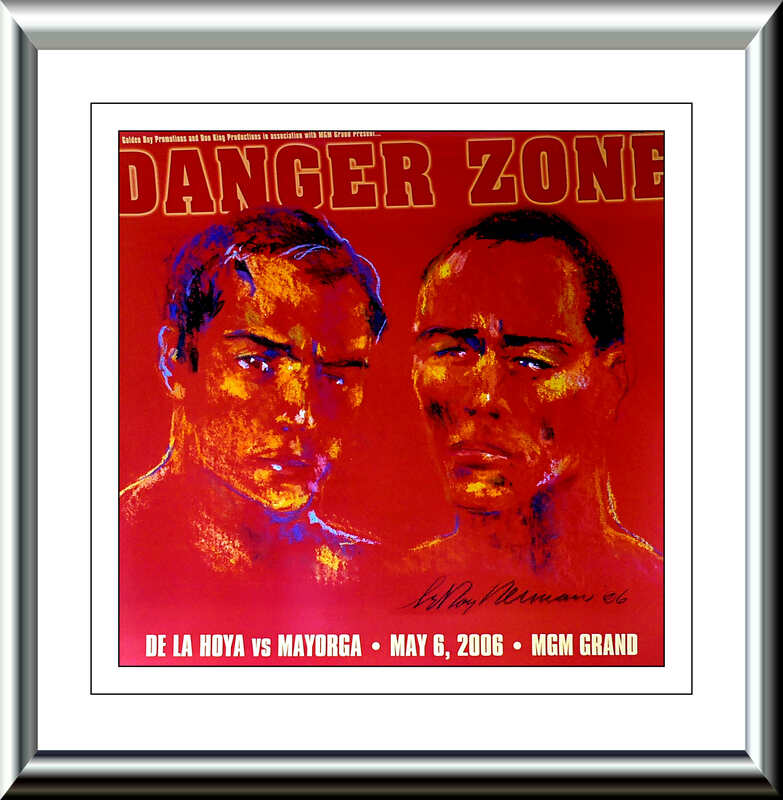 Description : Here we have an original MGM Grand Las Vegas, Leroy Neiman commissioned onsite poster for the Oscar De La Hoya v Ricardo Mayorga WBC Light/Middleweight showdown. 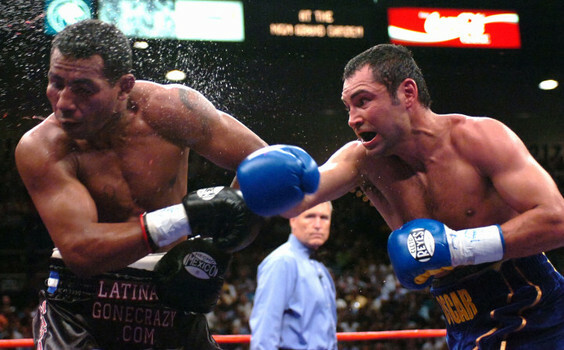 De La Hoya took a layoff of 20 months after losing in his challenge for Bernard Hopkins middleweight title before signing to fight WBC light-middleweight title-holder Ricardo Mayorga (27-5-1). 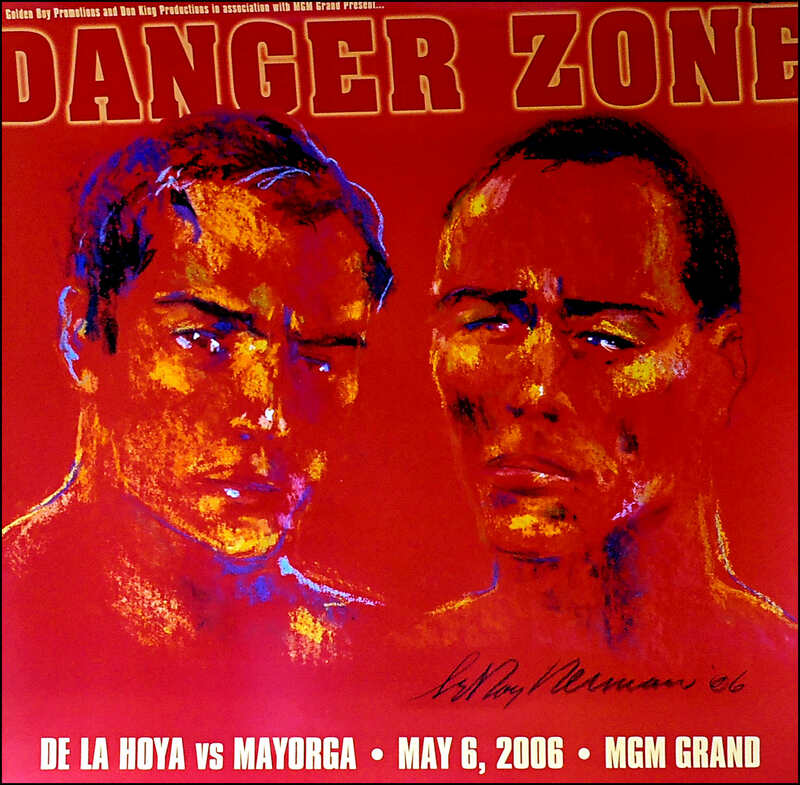 In the buildup to the fight, Mayorga insulted everything from De La Hoya's sexuality to his wife and child, but when they fought on May 6, 2006, De La Hoya knocked Mayorga down in the first minute of the fight with a left hook. He knocked him out in the sixth round to take his tenth world title.